Venezuelan President Nicolás Maduro today faced the gravest challenge to his authority since assuming power in 2013, as the U.S.-backed opposition claimed the legitimate mantle of leadership, and President Trump promptly recognized him as Venezuela’s interim president, as the Washington Post’s Mariana Zuñiga, Anthony Faiola, and Rachelle Krygier report. Dive Deeper: “The Struggle for Control of Occupied Venezuela,” by CSIS’s Evan Ellis. North from Syria, along the borders of Eastern Europe and rounding the Arctic Circle to the east, Russia has built a ring of air defenses that threaten the reach of the U.S. military, forcing Washington to rethink its place as the world’s undisputed air power, as the WSJ’s Thomas Grove reports. Meanwhile, Russia today showed foreign military attaches a new cruise missile that the United States says breaches a landmark arms control pact, billing it as an exercise in transparency it hoped would persuade Washington to stay in the treaty, as Reuters reports. Speaking today at Davos, China’s top economic official dismissed mounting fears that decades of breathtaking expansion was beginning to falter in the face of a U.S. trade war, insisting “sustainable growth” in his country would be maintained, as the FT’s Chris Giles, Kana Inagaki and Robin Harding report. Dive Deeper: “Navarro Asks Congress to Give Trump Absolute Authority over the U.S. Tariff Schedule,” by the Peterson Institute’s Gary Clyde Hufbauer and Euijin Jung. NK’s Kim Satisfied at Outcome of Negotiations with U.S.
North Korea’s Kim Jong Un expressed satisfaction over results of recent talks between the country’s delegation and U.S. officials to discuss the second summit between him and President Trump, as Reuters reports. Nicolas Maduro gave U.S. diplomats 72 hours to leave Venezuela after Vice President Pence called him a "dictator with no legitimate claim to power" and recognized opposition leader Juan Guaidó as interim president. 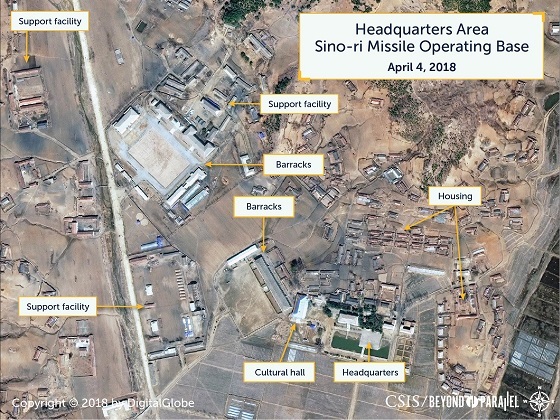 Using satellite imagery analysis, a new report from CSIS's Beyond Parallel reveals the deployment of Nodong-1 medium-range ballistic missiles at the Sino-ri Operational Missile Base. The existence of this base confirms what experts have asserted for years—that North Korea’s nuclear weapons and ballistic missile programs are more extensive and complex than what they have put on the table for negotiations. (Photo Credit: Edilzon Games/Getty Images). 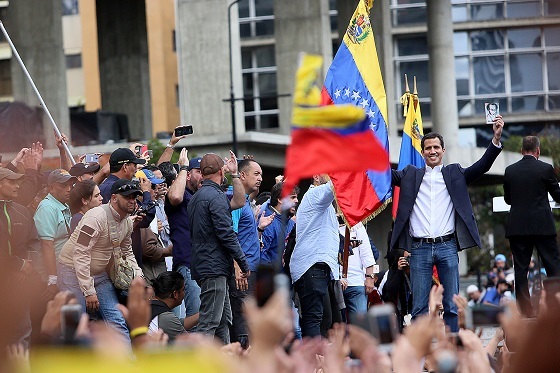 Venezuelan opposition leader and head of the National Assembly Juan Guaido declares himself interim president as thousands of people protest against Nicolás Maduro on today in Caracas, Venezuela. "Influence and Infrastructure: The Strategic Stakes of Foreign Projects," by CSIS's Jon Hillman. At 11:00 a.m., the Institute of World Politics will host a book discussion on By More Than Providence: Grand Strategy and American Power in the Asia Pacific by CSIS's Michael Green. Later at 3:00 p.m., the National Endowment for Democracy will host a discussion on the struggle to achieve public media reform in Ukraine. CSIS today hosted their annual preview of political, security, and economic developments across Asia. Watch the full event here. 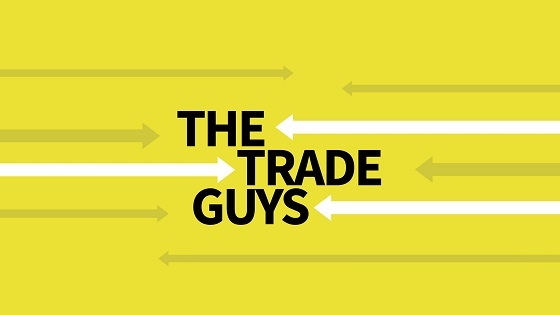 In this episode of The Trade Guys, host Andrew Schwartz and former congresswoman Ileana Ros-Lehtinen discuss the politics of trade and the prospects for bipartisan cooperation in the 116th Congress. She was the most senior U.S. Representative from Florida in the 115th Congress, and the Chairwoman of the House Foreign Affairs Committee from 2011-2013. During the six seasons of “The Sopranos” (1999-2007) there were many weeks where we waited on pins and needles from one Sunday to the next to see what was going to happen on the show. In our present world of “On Demand” binge TV, this type of phenomenon doesn’t typically occur (with the possible exception of “Game of Thrones"). Now, as many of us celebrate this 20th anniversary month of “The Sopranos,” (yes, I am currently binge watching and am midway through Season 2), the show’s creator David Chase has unveiled plans for a prequel film, “The Many Saints of Newark.” I’m now going to be on pins and needles for each and every detail about the film. While we don’t know yet know the release date, we are starting to find out some of the project’s details. Today, it was revealed that the late James Gandolfini’s son Michael Gandolfini will be cast as the young Tony Soprano. And believe me, word is traveling fast—just today at The Palm, the institution’s eminent Michael Melore and I poured over the few details we’ve learned about the prequel. In addition to some of the casting, we also know that “Many Saints” will be set in 1967 Newark, amid the Newark riots. This got me to thinking about the superb music the film is sure to feature. In 1967 alone, you had songs drop such as The Beatles’ “Sgt. Pepper’s Lonely Hearts Club Band” and “A Day In The Life.” You had The Doors’ “Light My Fire,” and Aretha’s “Respect.” The Buffalo Springfield put out “For What It’s Worth,” and the Airplane’s “White Rabbit” and “Somebody To Love” rang out from coast to coast. The Stones’ “Ruby Tuesday,” Van Morrison’s “Brown Eyed Girl,” Sam and Dave’s “Soul Man,” Aaron Neville’s “Tell It Like It Is,” James Brown’s “Cold Sweat, Pt. 2,” and Procol Harum’s “A Whiter Shade of Pale” are just a few of the many, many, now immortal songs that hit the scene. Did I mention that The Beatles also released “Penny Lane” and “All You Need Is Love”? Any of those songs could easily make the “Many Saints” soundtrack. But, if I were to bet on one specific 1967 song to make the cut, hands down it’s Frankie Valli’s “Can’t Take My Eyes Off You."